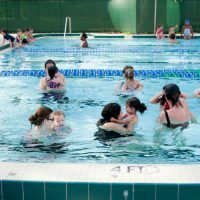 Tools and resources for better swim lessons. For park districts, YMCA’s, individuals, and private programs. 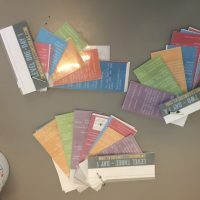 From lessons to swim team, we provide lesson plans, online database tools, level structure, and effective teaching techniques through training guides, training workbooks, podcast interviews with industry professionals, and digital documents for easy deployment. Join over 300 others internationally that have used our teaching guides for more effective swim instruction. Extensive knowledge base to pull everything together. Training books, inservice guides, lesson plans, online lesson database. Learning is best when you reach and have fun. We have various approaches for fun and effective swim lessons. Books, guides, and the biggest list of swim lesson games. Tools that you want: Books, ebooks, digital documents and customizable templates. All the resources you will need for an excellent program. We used the lesson plans in our school swimming lesson last week. All the staff loved it. We cut them up, laminated and put onto a keyring to keep in our pockets. Ideal as we teach in an outdoor pool, in the UK and it usually rains! I purchased the plan kit a few months ago when I began teaching; I just started listening to your podcast. I can not thank you enough for the great ideas and reminders your show has given me! It’s made a huge difference, and it shows. I want you to know that your website is my favorite and I share with my staff everything you send out. You do a phenomenal job! Thank you for always taking time to provide me with thorough information. 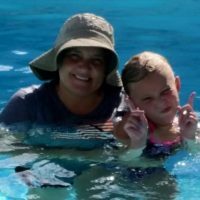 I have been a Private Swim Instructor in Arizona for the past 10 years and I just recently found your website. I’m pretty sure I have watched/read every inch of your website and I visit your “master games list” every week when I’m putting together my lesson plans. I wanted to let you know that I think you guys have done a great job sharing your resources. 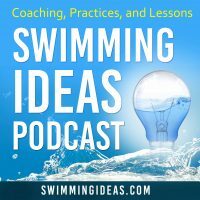 Swimming Ideas is an online resource for teaching swimming. We provide lesson plans, online program management, and instructor workbooks and guides.